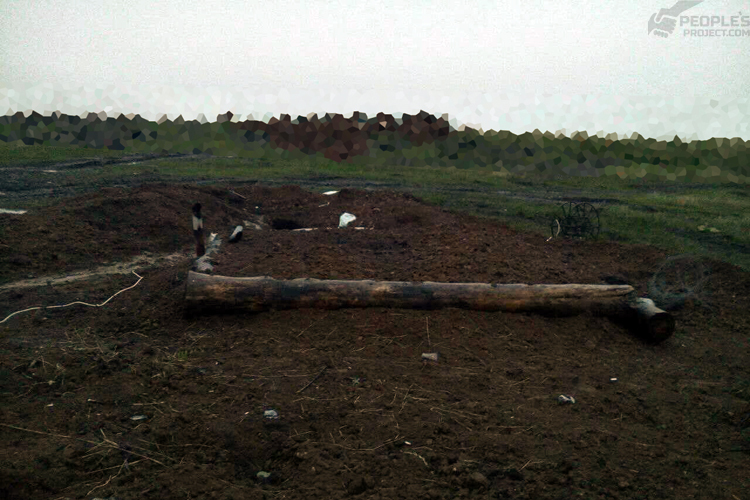 Thanks to our dugouts for Ukraine’s army – our evaluation of the structures advantages, our volunteers have been able to ascertain the opinions of more than 100 soldiers on the front line. All these guys agree these bunkers, literally have rescued them from the cold, bullets and shrapnel. And as it happens, along with the accolades, certain myths have also arisen – as always happens when a project is gaining popularity. Today we would like to dispel some of those associated with our volunteer dugout project. Frankly – a significant number of of the photos, we use to illustrate our news on dugouts are from the field testing period. Fighters do not always send us pictures from the front. You can not disclose a position when there is no photograph – the reasons are many, and all of them we treat with understanding. That is why we have to once again share a photo from the testing period, which is why the experts sometimes have questions about the strengthening of the dugouts depicted in the photographs. However, there are exceptions. We were unable to shoot the bunkers with heavy howitzer guns or mortars. That is why we have not built at the range more mounds, log subfloors with additional concrete or metal construction, build winding trenches at the entrance. However, even in this state, with a light layer of earth coverage, these bunkers survive blasts from powerful roadside bombs. But already at the front guys say, our structures perform well – fending off the challenge the large-size munitions. We will never just construct bunkers as we see fit. We always cooperate with commanders, engineers, and soldiers themselves. We explain in detail that the bunker itself – not a panacea, and in its’ “naked” form will not stop serious caliber, which is why it must be further strengthened by all the canons of military science. As for the strength of the dugouts. They have been constructed and tested so that they withstand heavy loads from above to improve the design works with a team of professional engineers and builders. Elements of the dugout are then put together – experience has shown that shells hitting hard even close to the dugout, save men from being buried. Likewise also strengthening work to the top of the dugout, which is to save them from death. Army personel at local sites address specific designs and set them in compliance with all safety requirements and sometimes even upgrade them to their own needs. The life of a soldier – is the highest priority for us. Our dugout offer significant savings in time. 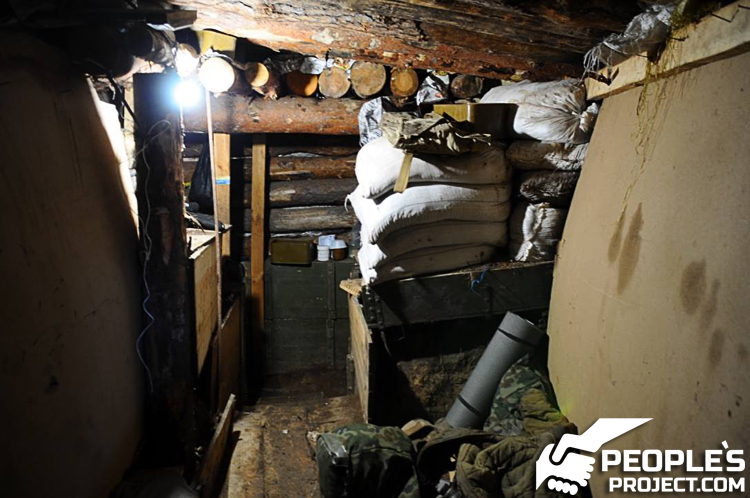 Our colleague spent at the front more than one day, talking about the usual practices, unsettled positions bunker itself, winter brought a few logs to keep warm – and otherwise that with the dugout, do with it what you want. Digging out with a dredge or technology – of course, instead of digging the frozen earth buy hand, the soldiers could immediately build constructing the dugout while sawing the wood. Therefore, the lightweight design, which needs a few hours to build – is what we need for saving time and effort. Additional comfort: after installing bunkers soldiers do not need to think how much of how to arrange it within. 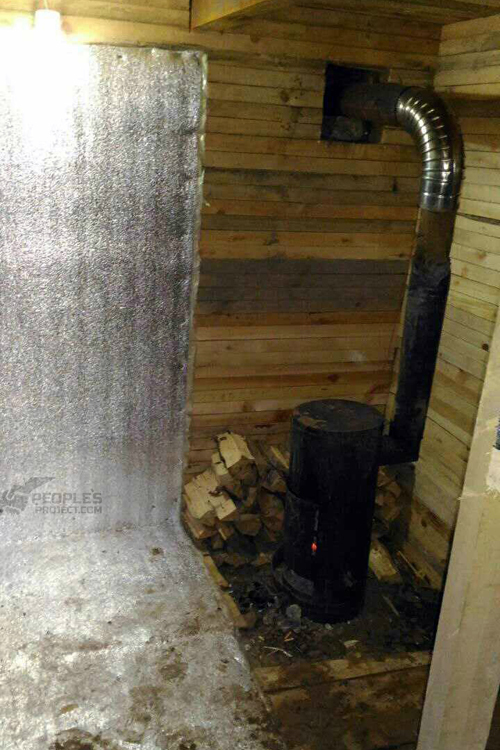 It is not an earth hole where the wall is full of earthworms – instead fresh sweet wood, which can and should have additional insulation sheathing to give a sense of comfort and coziness. Drainage, chimney, protection from moisture – these issues are are all dealt with and tested in practice. 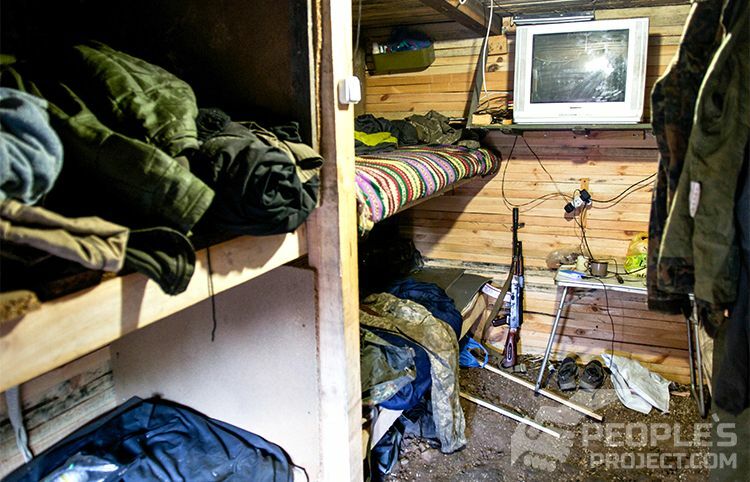 In terms of living conditions – is this not better than a crude earthen pit? We have had plenty of praise from most soldiers and commanders of the legendary teams that are at the very the bunkers and use these of these fortifications have been proven. 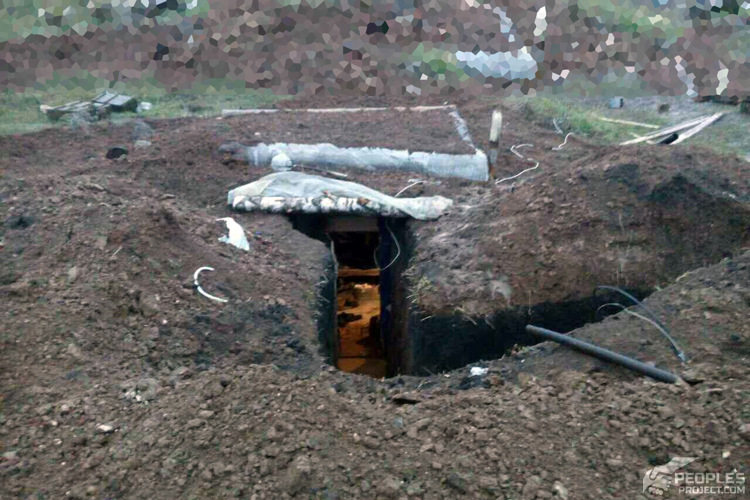 These bunkers have saved from bullets, shrapnel and fierce winter frosts more than one soldier. We believe – and have not just seen in practice – the usefulness and quality of these dugouts. That is why we will continue our work and will continue to build these shelters that save our soldiers from bullets and shrapnel and enable them to live in comfort and safety. We urge you to get involved in the project People’s Blindage and make small contributions. Protect Ukraine’s defenders!